One of the many, many reasons we all love tacos is how easy they are to prepare, right? Make a few simple things and set up a DIY taco station for family and friends to customize however they like. 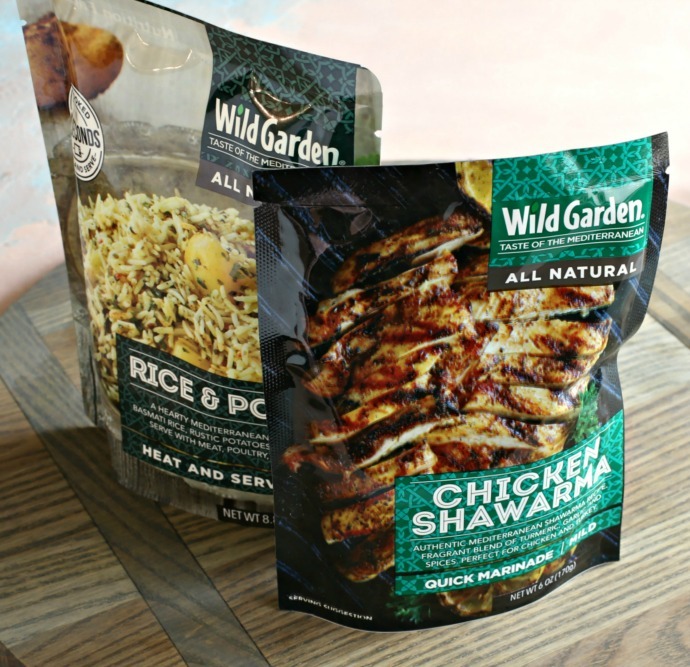 Well, these days I'm going one better by making chicken shawarma tacos and using the new Wild Garden chicken shawarma marinade. Shawarma is one of my favorite Middle Eastern food preparations. It's really street food consisting of meat, chicken or even vegetables in a spicy marinade and served in a pita with various toppings. So, it's basically Middle Eastern tacos. 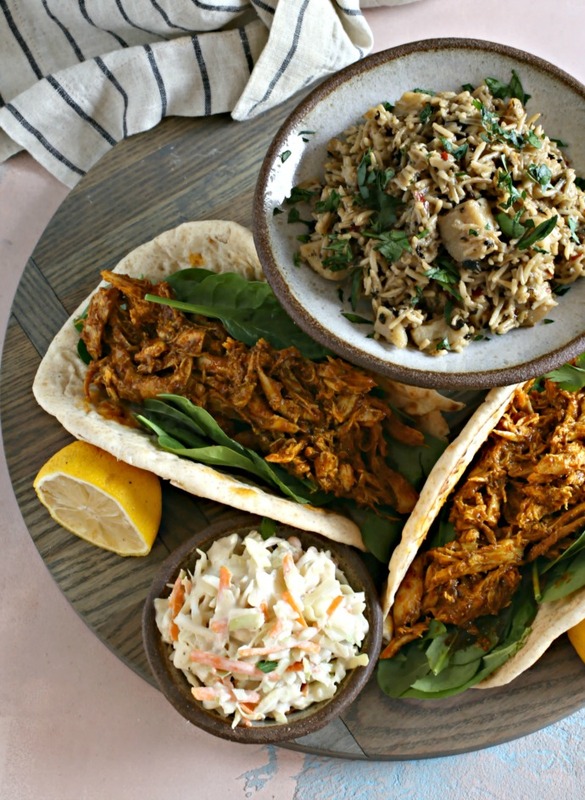 Wild Garden's quick chicken shawarma marinade saves me the trouble of making my own and contains all the fragrant garlic, turmeric and other warm spices that make up a good chicken shawarma. 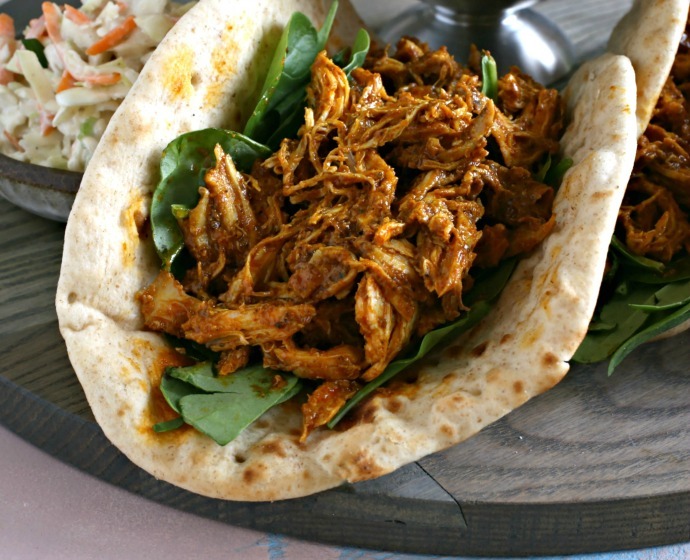 I tossed shredded chicken in the sauce and served it in a warm, fluffy pita but a tortilla would work fine too. I also whipped up a quick coleslaw with a lemony tahini sauce and a side of rice and potato pilaf, thanks again to Wild Garden's tasty side dish Heat and Serve Pilafs. It cooks in 90 seconds and is fragrant and full of all the great Mediterranean flavors I've come to expect from Wild Garden. Dinner was on the table fast and good. Enjoy! 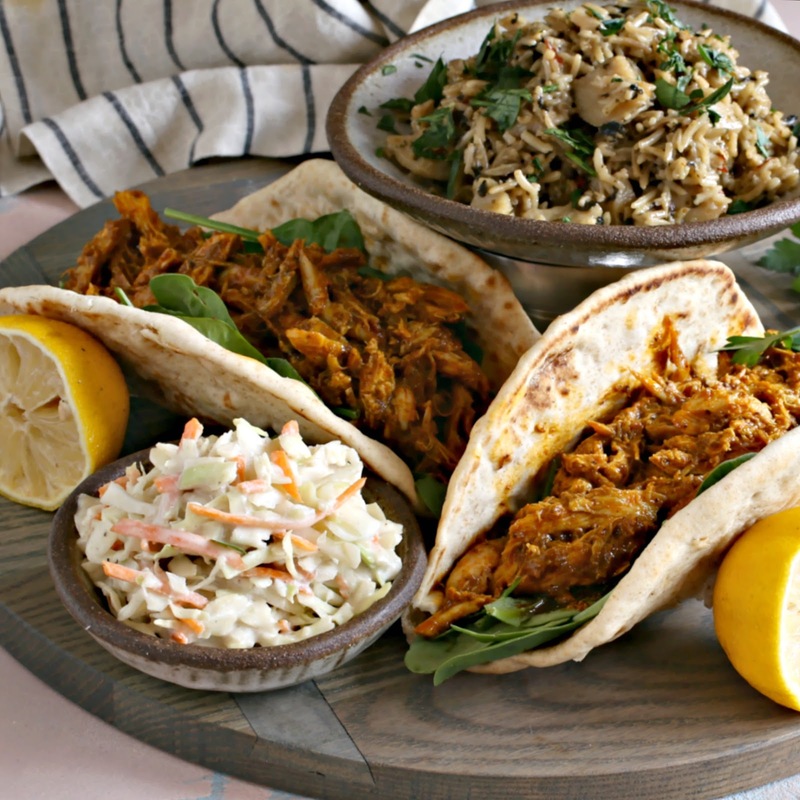 Recipe for chicken tacos in flavorful shawarma sauce with tahini slaw. * Easy cooked chicken directions: Add skinless, boneless chicken breasts to a pan with a tablespoon of olive oil. Cook on medium for a minute, flip, cook for another minute, cover and reduce the heat to low. Cook for 10 minutes, then shred with a fork. Add the shredded chicken and shawarma marinade to a pot and heat on medium low for a few minutes until warmed through and the sauce is evenly distributed. Layer in the pita rounds with your favorite salad greens. 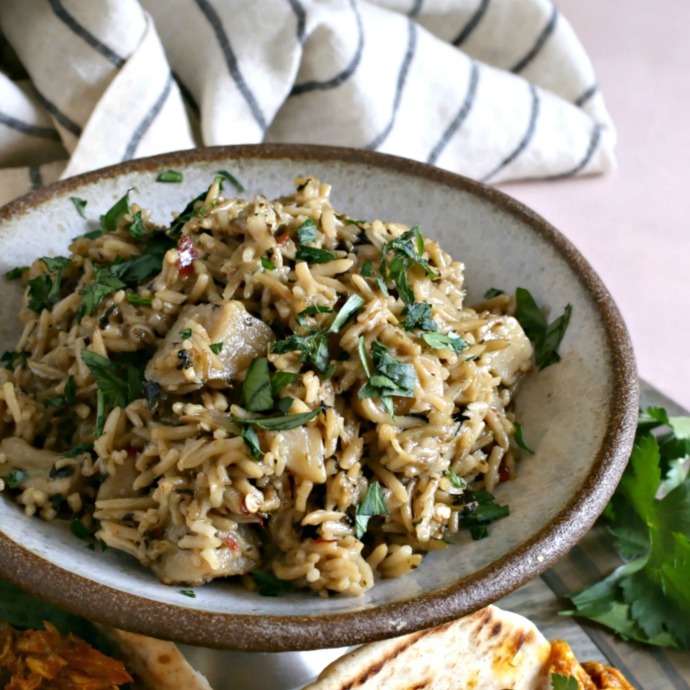 Serve with Wild Garden Rice and Potato Heat and Serve Pilaf. This recipe is sponsored by Wild Garden. Thank you for supporting the products I love and use in my kitchen.